KITS support team is strategically positioned to monitor all customers’ network performance to ensure satisfactory user experience, and also to respond promptly to customers’ concern regarding functionality of our products & services. Have any technical problem or question regarding the functionality of our products, please contact us immediately. Our support will respond to you quickly to close the issue. You can reach us quickly through any of the following channels. + 234 807 552 3719. Have KITS technical support representative contact you on technical issue concerning our products. 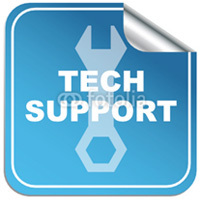 Please open tech support ticket by completing this form to make our tech support team call you as soon as possible.